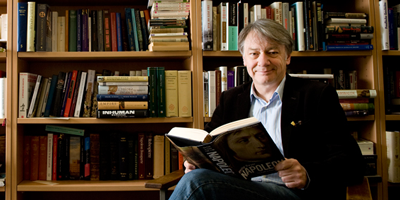 Works by Australia's leading writers have been recognised in the shortlists for the 2015 NSW Premier's Literary Awards, including Citizen Emperor: Napoleon in Power 1799‐1815 by Professor Philip Dwyer from the Faculty of Education and Arts. Twenty‐four judges considered hundreds of entries across nine prize categories, with the winners to be announced on Monday 18 May 2015. Premier's Literary Awards have a proud history of recognising and encouraging our nation's community of authors, translators and writers for screen, stage and radio." Deputy Premier and Minister for the Arts Troy Grant said: "The awards celebrate the cultural significance of our literary talent and this year's shortlists include works by established authors as well as new writers who will strengthen Australian writing now and into the future." Also shortlisted for a 2014 Prime Minister's Literary Award, Citizen Emperor is the second volume of Dwyer's biography of Napoleon Bonaparte. Beginning with the 1799 coup that brought Napoleon to power, it examines the machinations that saw him rise to the position of Emperor, and follows his career through to the disastrous overreach of his Russian campaign and his defeat at the battle of Waterloo. Dwyer, who is the Director of the Centre for the History of Violence at UON, is particularly good at explaining the complicated political landscape of post‐Revolution France and supplies vivid accounts of Napoleon's military adventures, his strategic thinking and tactical missteps. He is no less adept at drawing out the intricacies of Napoleon's difficult personality and his fractious relationship with his family. Dwyer is also astute about the various ways in which Napoleon sought to cultivate his public image, shrewdly positioning himself as the champion of the Revolution and the saviour of France, while knowingly co‐opting the symbolism of royalty and consolidating his personal power. Citizen Emperor is at once a monumental feat of scholarship, an absorbing portrait of a deeply ambitious and deeply flawed man, and brilliant account of a towering figure in modern European history.